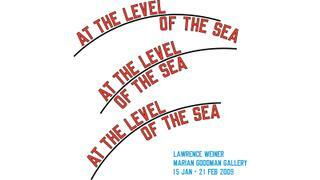 I would love to have Lawrence Weiner’s text work from his poster for Marian Goodman’s show in 2009, At the Level of the Sea, made into a multi-line, curvaceous text work for the exterior of the hull of the yacht. 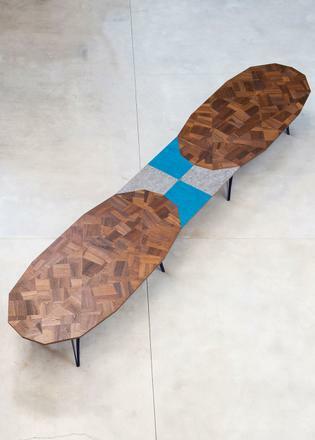 It would effectively turn the boat into a kinetic, floating sculpture. 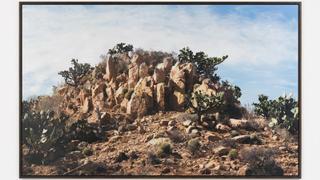 Julius von Bismarck engaged local agricultural workers in the Mexican desert first to paint a section of landscape white, and then overpaint the same section from memory to make it look real. This fake reality is what you see on the photograph. I find this intersection of nature and culture fascinating and quite fitting for my fantasy yacht. 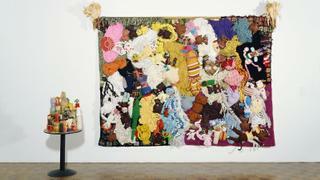 My ultimate boat experience would include Mike Kelley’s 1987 masterpiece More Love Hours Than Can Ever Be Repaid. When I first saw it at the Whitney Museum of American Art I wanted to immediately lean against it and feel its embrace. This corpus of stuffed animals, dolls and blankets creates an uncanny composition filled with pure love and emotion. During a tempestuous night at sea, with this work around I would feel emotional but safe, thinking of all those parents who spent more hours of love than can ever be repaid. The Zaha Hadid “Liquid Glacial” collection freezes the movement of water. 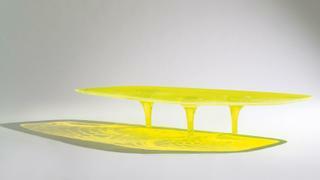 Fashioned here in yellow, Hadid’s coffee table would starkly resonate with the water that surrounds the yacht. It is an aquatic fantasy. I’d choose Khaled Zaki, a major pioneer of modernist sculpture in Egypt. 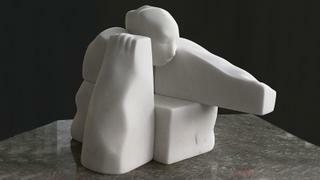 In his new series the artist’s marble works explore the relationship between form and material. I remember seeing his works for the first time in his illustrious workshop in Pietrasanta, Italy – a town famous for its carving workshops since the 15th century – and falling in love with them. They exude a sense of elegance and calm.